The General Motors upgrades to the transmission technologies used in the 1980s were present in the 4L60E units introduced in the 1990s. As the replacement for the 700R4, the new electronic units were offered to ease the shifting between gears in modern vehicles. Because of the success of this gearbox, it is considered one of the most reliable overdrive transmissions in the GM lineup. Preowned Transmissions is one discount resource to use for buying used 4L60E transmission inventory. 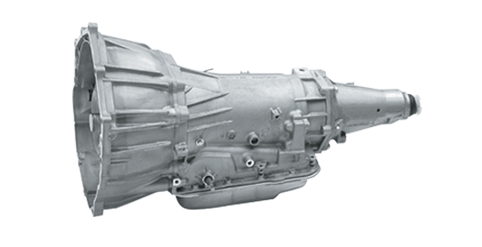 GM has used the original turbo hydra-matic design for the majority of transmissions produced over the past 30 years. The addition of electronic sensors, known as transmission control modules, has improved the original 4L60 design. These transmissions were first installed into V6 compatible vehicles in the mid 1990s. One aspect that consumers appreciate about these late model builds is the compatibility with 4×4 vehicles. Buying a preowned 4L60E is quite a simple process online. Aside from the removable bell housing, the 4L60E gearboxes feature automatic shift technology. These popular four-speed units have been placed into hundreds of different vehicles in the nearly 25-year period of production. The older 700R4 and late model builds are generally compatible with most trucks, SUVs and larger vehicle brands built by GM. Buying a first or multiple electronically controlled transmission does not have to be complicated online. Every automatic shift General Motors gearbox sold through PreownedTransmissions.com features OEM parts. This means that every original part included in the original manufacturing schedule is included on the assembly. There are no parts that are aftermarket or that do not belong on these blocks. The quality of every build is essential for a person reselling or installing these units. Some of the highest quality used automotive transmissions in North America can be found in the GM inventory marketed here online. A replacement transmission price quote can be requested when using the automated consumer systems on this page. Found at the top of every page is a quotes tool. It is this tool that savvy transmission buyers online use to compare pricing found here with other resources on the Internet. The previously owned General Motors transmission inventory quoted here includes the torque converter. A person who is interested in calling by toll-free number receives the instant support of trained transmission experts. Every preowned automatic transmission in electronic builds can be researched through the phone quotes system. A lookup of transmission codes and compatibility with certain engine types can be performed. The warranty policies that are distributed with every gearbox are included in the distributed price quote. This simplified way of finding the lowest pricing is how many buyers locate cheap transmissions.